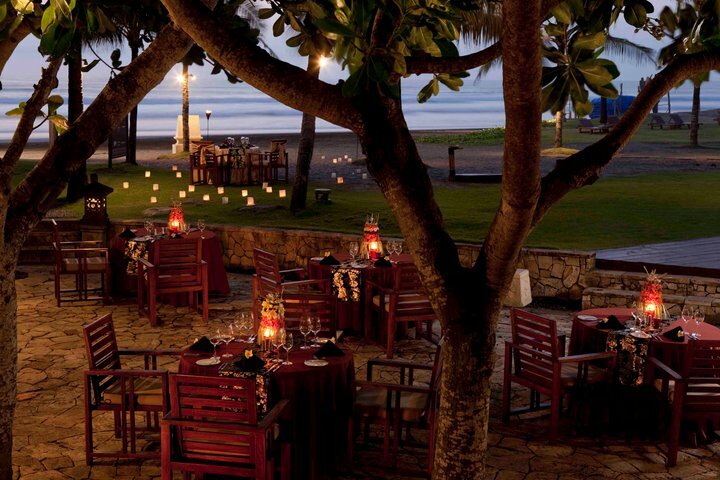 Capris Beachfront Bar & Restaurant is an all day dining international restaurant. It also serves classics as well as signature drinks to go with the delectable cuisines. 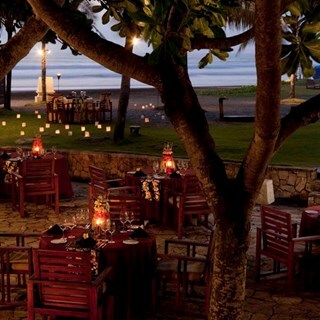 Great meal on the beach. Thank you May for  the amazing service. Happy hour wine isn’t too terribly pricey. very friendly service but we waited very long to have our cocktails and then our dishes. On my visit with my friend here, it's a great deal of effort to find the spot on google map. We keyed in 'Capris' and got lost. Turned out it should be M Gallery or Beachfront. We got here at 8 pm sharp, earlier than my reservation. Showing up early did us great, we came just in time for the live music. Enjoyed 3 songs or so before the band left. I ordered Roast Pork and my friend her Carbonara with bacon. The roast pork was awesome, it was served with barbecue sauce with the sweet and sour taste, the meat is cooked just perfect, not too tough and still juicy. The carbonara is al dente, but it's just too creamy for my friend. The cream is jusst plain with no strong taste, perhaps that's the reason she wasn't quite fond of the pasta (too creamy). And yet the bacon was heaven! It smells great and the taste made our night. The service is good, but not great. At first, the waiters didn't get up and serve us until we asked them to.